On Tuesday this week mentors and mentees met at the school to hear who would be paired with whom. One mentor had to miss the session as he had a long-term overseas trip lined up. 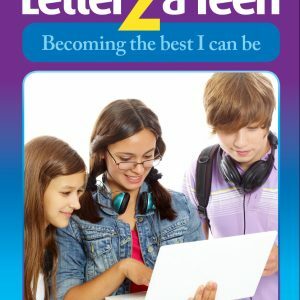 However, I suggested he send me a letter to his new mentee, which I would check and, if suitable, would hand over to the mentee. This he did. At the appropriate time I gave the letter to the mentee to read and keep – he was most definitelyappreciative of this gesture! Another mentor’s mentee is away from school with Glandular Fever, so she will only meet next term (semester), providing the mentee would like to keep participating. We had a problem with the venue, which slowed down the process, and then a couple of mentors were delayed, arriving late, and we also had to locate a couple of the students. Patience and flexibility are important when running these programs, that’s for sure. Being end of term this week and the final year students’ last days at school, there are inevitably some high and low times! One highlight was having a student approach me while I was waiting for the others and asking if he could join the program. Unfortunately I had to decline his request, though suggested he complete the Mentee Interest Survey just in case things changed, though I still wanted more girls in the event of someone dropping out of the program. After welcoming everyone to the session, I announced the pairings and, as expected, there was a wonderfully positive vibe all around. Next, I had both the mentors and the mentees sign their respective contracts in front of each other. This gave me the opportunity of explaining to the students what the word ‘Confidentiality’ means in this program ie, if a mentor at any time feels that the mentee’s wellbeing is at risk in any way, or they feel they do not know how to deal with an issue raised by their mentee, mentors would bring the matter to the program staff. In most, if not all cases, I suggested, the mentors would discuss this approach with their mentees prior to approaching the program staff. While there might be risks of the mentoring relationship breaking down if this occurred, it certainly has not been my experience in the past. I reason that if a mentee is prepared to trust a mentor to that extent, the mentee is also likely to trust the mentor’s judgment. Contracts signed I then handed out the Student’s Manual and highlighted key aspects of it and its purpose during the mentoring journey. I offered to keep the students’ copies for them during the holidays, but some asked if they could keep them instead – only a pleasure. 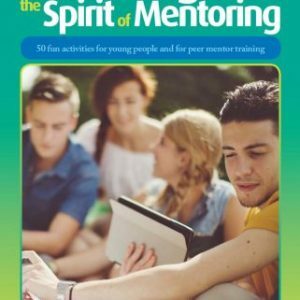 Of course, the mentors had the copies to take home with them so they could become familiar with the content. The formal business over, I gave the mentors and mentee 30 minutes to spend time getting to know one another. The majority headed out of the meeting place into the school grounds. Again, I had primed mentors that they might find boys opening up more if they were walking and talking rather than sitting at a table ie, no eye contact!! 🙂 Also, it needs to be mentioned, that the mentors have permission to move around the school grounds with their mentees during the mentoring session, but they are not allowed to leave the school without the school and program staff’s permission. Once everyone returned to the meeting room there were a few announcements made and the mentees headed out, but not before the Principal popped his head in to wish everyone well, a sincerely appreciated gesture. The mentors stayed behind for a debrief and snack etc. Overall, the mentors were amazed at how well these initial meetings had gone. I was not, as I had got to know both the mentors and the mentees a little over the previous weeks and felt that the training etc. had played a considerable part in helping both parties to make the initial connection. Again there were some wonderful stories from mentors re similar experiences to those of their mentees when they were adolescents etc. One mentor commented that she was surprised at the way her mentee kept putting himself down – turned out that that was because of the messages he was receiving at home …… high or low self-esteem? There is exciting work to be done. The School Coordinator will be back when the new term begins in mid-October and he and I will catch up at the first opportunity. The staff member substituting for him was fantastic and so positive about the mentoring program. At the end of the mentor/mentee matching session he asked if he could say a few words. He congratulated the mentees on having the courage to participate in the program and shared a little of his experiences being involved in a mentoring program during his army days – awesome, inspiring and a wonderful way to end that particular session. During the debrief, I presented each of the mentors, and the substitute teacher with one of our organisation’s coffee mugs, just a small thank you for all they had contributed to the journey thus far. They were touched and appeared to genuinely appreciate the gesture. 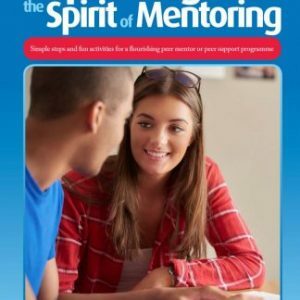 The mentoring journeys are under way ….